MacGyver was a 1980’s TV action hero, known for being able to quickly apply his extensive math / science / engineering skills in order to save the day. MacGyver always carried standard gear on his person that included his iconic Swiss Army knife, duct tape, paper clips, and chewing gum. In every episode, he employed creativity, his gear, and science to re-purpose common items in order to build a machine or otherwise develop a solution for some major problem. Fast forward to fall 2016 – CBS is about to release a modern reboot. What skills and technology would a “modern” MacGyver employ? Read on, to find out. MacGyver’s Swiss Army Knife was iconic. Although he seemed to carry a variety of models, his “SAK” was the tool he used in almost every situation, to build a device or modify common items in to a life-saving solution. Including one or two blades, one or two standard screwdrivers, a can opener, a bottle opener, tweezers, a tooth pick, and other accessories, such as a Phillips screwdriver, a saw, scissors, pliers, a cork screw, and special-purpose blades, the Swiss Army Knife was a do-it-all tool that MacGyver used on a weekly basis to save his life, diffuse bombs, and build “MacGyverisms” – re-purposed common items used to solve some specific problem. The Swiss Army Knife can be used to assemble, disassemble, whittle, move, remove, replace, cut, saw, and otherwise modify almost any material – most often, wood, plastic, paper, or cloth. Dating back to the 1890’s the “Swiss Army” knife was originally designed to open canned food, and also to allow disassembly of the standard Swiss Army service rifle. 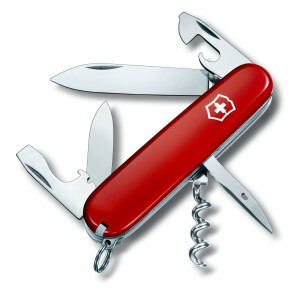 Many innovations and variations have appeared from both “Swiss Army” knife companies: Wenger and Victorinox. 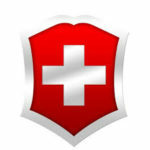 Wenger knives have a cross symbol inside a slightly rounded square, while Victorinox knives have a cross symbol inside a shield. The knife depicted above is a Victorinox. No locking mechanism. “SAK” knife blades are held in place by a spring that can fold up if pressure is applied in the wrong direction. Although some modern “SAK” knives employ a locking mechanism, this did not exist in the 1980’s. A modern multi-tool has a locking mechanism for the main blade and major accessories, preventing injury or knuckle-bite. Soft Steel. “SAK” knife blades are made from stainless steel, as they have been for over 100 years. Stainless steel comes in many varieties. SAK knife blades are on the softer end of the spectrum, meaning, they can bend, and don’t hold an edge as well as knives made from a modern steel, such as AUS-8. A good, modern steel knife can be used to pry, scrape, and cut without bending or chipping. Difficult to operate. Many of the accessories require a “fingernail” to open, but the spring tension is significant enough that you risk breaking a nail, unless your knife is well-worn. A modern multi-tool can be deployed and operated with one hand, using very little force. No Serration. “SAK” blades don’t have a serrated section, with small, curved teeth. Most modern knives offer a full or partially-serrated blade, that is much more efficient at cutting rope, cord, wire, webbing, and seat belts. A smooth, or “straight” blade must be very sharp, and often requires multiple passes, while a serrated blade acts like a saw, quickly chewing through soft materials. Both Victorinox and Wenger knives offer a compact package containing multiple tools that can be used for a variety of purposes. Modern knives contain features and materials that simply weren’t available in 1985. MacGyver was known to carry a small roll of duct tape, folded flat, in his back pocket. Cloth duct tape (one brand is “Duck Tape”) is strong and versatile. Vinyl duct tape is completely worthless. If MacGyver had bet his life on vinyl duct tape, he would have died many times. 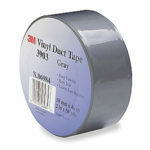 From the sub-standard adhesion, to the feeble shear strength, vinyl duct tape is one step short of worthless – it’s exactly better than nothing. Although we still have good, cloth duct tape, we also now have tape products with more advanced adhesives and stronger substrates, such as Gorilla brand tape — although it is slightly heavier, it has much better adhesion and shear strength. 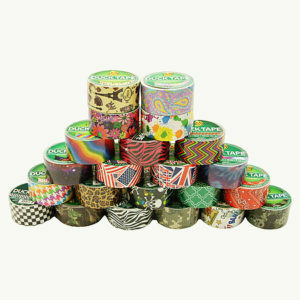 Another recent development is the mass production and availability of duct tape with various print patterns – for example, you can easily purchase camouflage duct tape, whose benefits are obvious. 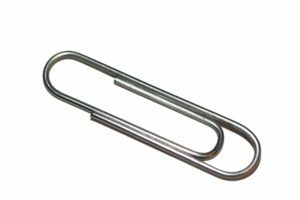 The humble paper clip can act as a resistor, heater, conductor, fastener, or even the sharpened point of an arrow or dart. Even to this day, the paper clip is both portable and practical. Why chewing gum?? The wrapper has paper, that can be used as a fuse or an insulator. The foil wrapper can be used as a conductor, fuse, or igniter. As depicted in one of the MacGyver episodes, chewing gum has a negative thermal expansion properties. It can also be used as an adhesive. Chewing gum is both innocuous and versatile, making it an excellent choice for covert tactics. A cheap, simple, portable ignition source, strike-anywhere matches could also be repurposed as igniters, or even mixed with other chemicals to formulate a chemical primer or igniter. Modern weatherproof matches serve the same purpose, but they have more flammable material, burn longer, burn hotter, and of course, they can be ignited and can maintain a flame even while wet, although not while completely submerged. From sliding down a wire, to building part of some contraption, leather is versatile and durable, and the buckle can be used for many improvised purposes as well. In 1985, MacGyver is portrayed as having advanced scientific and engineering degrees. Along with advanced knowledge of chemistry and physics, MacGyver expresses incredible, practical engineering skills based on the sciences, math, and advanced material sciences. MacGyver demonstrates a repeatable capability to identify the material properties of ambient objects, and re-purpose them in meaningful ways. If something does or does not conduct heat or electricity, that’s important. If something is in the proper parabolic shape to transmit or receive a signal, that’s also important. In addition, MacGyver demonstrates knowledge of aerodynamics, kinematics, pyrotechnics, electronics, and physics. Creativity is paramount, to identify and then re-purpose common objects in to defensive weapons, offensive weapons, actuators, fuses, instruments, aircraft, boats, vehicles, man-traps, signals, and very many other solutions. For many missions, physical prowess is required, including hand-to-hand combat. MacGyver was proficient in Judo, and possibly Ju-Jitsu. MacGyver was a boy scout, and also learned many nature survival skills from his grandfather, and is therefore a proficient survivalist. Social Engineering uses deception and trust to manipulate someone with the intent of achieving a specific objective. MacGyver was adept at social engineering, and would often travel covertly under the pretext of being a photographer or journalist. MacGyver is almost never seen using a calculator, which means that for his gadgets to work properly, he must be very good at dead reckoning distances, heights, angles and duration. MacGyver was intensely opposed to guns, due to a childhood traumatic experience as the result of the accidental discharge of a firearm. MacGyver has a highly-developed sense of ethics and morality, and will often go out of his way to avoid killing or injuring others, and would express a moral or social obligation to “do the right thing” by helping others, especially someone in need. Having been a boy scout, and having been partially raised by his nature-loving grandfather, MacGyver maintains a strong connection to nature, including a love of fishing and camping, as well as other activities, such as mountain climbing. For the first few seasons of the show, MacGyver lived on a house boat. MacGyver often expresses a desire to help others, by organizing or participating in various volunteer activities and organizations. Although he has a small circle of close friends, including Jack Dalton, and his boss, Pete Thornton, MacGyver has a large network of casual friends and acquaintances who help him out from time to time. MacGyver tends to be inclusive, and makes an effort to get along with almost everyone. MacGyver has one arch enemy, Murdoc the assassin. The term for repurposing common objects to solve a problem is known as a MacGyverism, or “pulling a MacGyver”. Although there is an extensive list of MacGyverisms listed elsewhere, the purpose of this section is to generalize the kinds of problems and solutions faced by MacGyver during the original series. Technology in the 1980’s was primarily mechanical and electromechanical. Most personal electronic applications used high-density CMOS transistor logic, printed circuits, and LEDs. As computers began to influence the electronics industry, many mechanical and electrical devices became computer-controlled, and most applications now contain embedded microcontrollers, which require specialized tools and knowledge to exploit, compared to their more basic 1980’s counterparts. The ability to build, repair, or repurpose a device is limited by its intrinsic properties – things like motors, switches, wires, resistors, as well as materials such as metal and plastic that can be used for other purposes. Modern consumer electronic devices are made much more cheaply, and contain fewer usable components, as well as less durable materials. Likewise, fixing a modern car or other computer-controlled vehicle is much more difficult than wiring a spring to a carburetor, or bypassing a vacuum hose. The new MacGyver faces a drastically different world, necessitating some completely new skills. In addition, although there are some items that MacGyver should still carry today, there are many technological improvements over his 1985 gear, as well as some new technologies that supports an evolved skill set. There are also some items he should have been carrying all along. Some parts of MacGyver’s 1985 “kit” are still relevant today. The humble paperclip can be repurposed in any number of ways, is light weight, and completely innocuous. 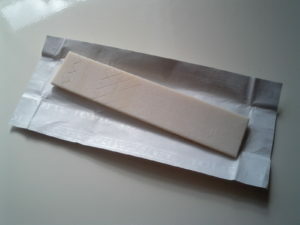 Chewing gum and its wrapper. Chewing gum can be used as an insulator, adhesive, or plug, or could even be used to copy the ridges of a key. The foil wrapper can be used as a conductor, or even an igniter, while the whole stick of gum can be used to build a capacitor. Most modern devices have batteries that operate at low voltages and produce low current. Capacitors allow you to do cool things with small, weak batteries, such as weld, shock, burn, or detonate. 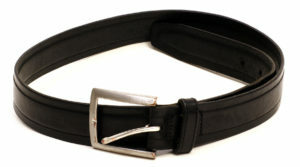 Leather belt. Leather is versatile, strong, and a good insulator. You can easily build a strap wrench out of a leather belt, to remove some large component or otherwise apply torque to a mechanical device. A good belt can also be part of a harness or handle. These are items that were available in the 1980’s. Although he was seen using some of these items, MacGyver should have carried them as part of his standard kit, and should carry them today. Copper pennies. Pennies made between 1959 and 1982 are solid copper. These are still in wide enough circulation, that you will run across a few, in a handful of change. These are good for electrical contacts, conductors, electroplating, and all sorts of chemical reactions, and copper also has anti-bacterial properties. 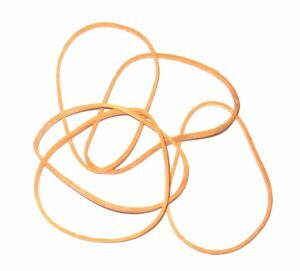 Rubber bands. The two basic types are the thick, stocky ones, good for making a clamp or a drive band for some device, and the large, thin ones, good for making almost anything, including projectile weapons, triggers, or traps. Retractable Ballpoint Pen. 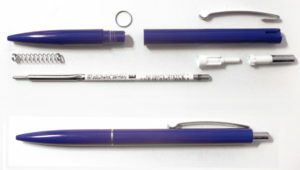 With its “clicker”, spring, tube, and other useful parts, a ballpoint pen can be used as a switch, actuator, projectile, or trigger, or a critical part of some other device. 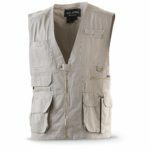 Fishing Vest / Pocket Vest. Although MacGyver is occasionally seen wearing one, he should have made it part of his daily routine. A pocket vest is the easiest way to carry your gear with you. Having all of your stuff in a pocket vest allows you to “grab and go” in the event of an emergency, or easily strip off your gear for an airport scan. In addition to being convenient, it’s absolutely the easiest way to travel. Even better, having several pocket vests allows you to pre-arrange several “kits” for various conditions. For example, you could have an outdoor survival kit vest, an urban survival kit vest, and a casual / daily kit vest. Each would contain specific tools – for example, the urban vest might contain a full-size multi tool, while the daily vest might contain a pocket / micro tool. Suspenders. 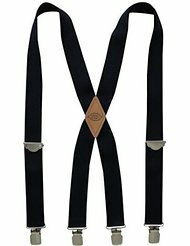 Decent, high-quality suspenders could be used as a body harness (maybe, with a little duct tape), but the elastic can also be used as a propulsion mechanism, the binding of a splint, a tie down, or simply to store kinetic energy as a weapon or distraction. Suspenders plus a little duct tape is an easy way to conceal a weapon. 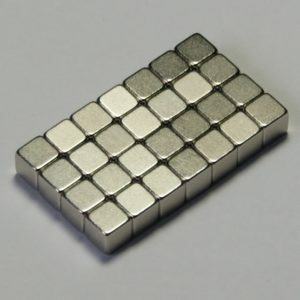 Neodymium Magnet. In the 1980’s, these were sold as “curiously strong” magnets. Magnets have all sorts of uses. Jamie Hyneman of Mythbusers fame, has said that he often carries magnets in his pockets because they are a convenient way to temporarily pin things together, hold things, or mount things. 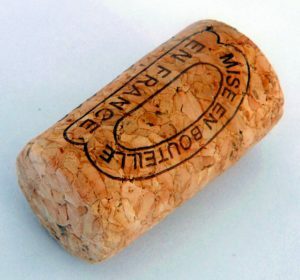 Cork. It floats. It’s an excellent thermal and electrical insulator. It’s tiny. It’s lightweight. It’s waterproof. Millions of uses. Mylar “Space” Blanket. Today, they are called “emergency” blankets, but back in the 1980’s they were SO “space age”. In addition to being very strong, Mylar reflects up to 99% of radiated heat, and is therefore an incredibly efficient heat insulator. It’s also very shiny, making it an excellent reflector, and extremely thin, light, and portable. I envision MacGyver making a thermal suit out of duct tape and mylar, to defeat a heat-motion sensor, or as improvised rescue gear. Today, mylar blankets are a core survivalist’s staple, because they are so portable, durable, and versatile. Here is a website that enumerates 50 Uses for an Emergency Blanket. 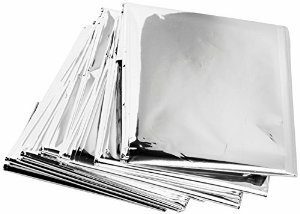 Mylar “Space” Blanket is thin, light, compact, and reflects up to 99% of radiated heat. 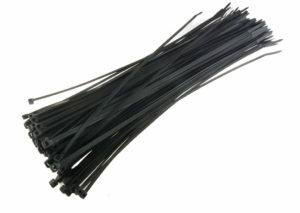 Nylon “Zip” Ties. 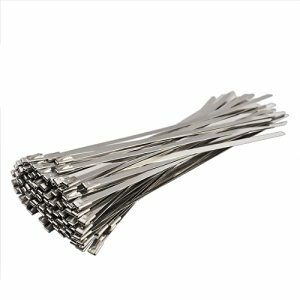 Zip ties date back to the 1980’s, come in a variety of sizes and colors, are waterproof, self-locking and self-adjusting straps that can be used for almost anything. From a hose clamp to handcuffs, zip ties have a multitude of uses. Zip ties, a couple of mylar blankets, and duct tape can be used to build an emergency shelter. Nylon “Zip” Cable Ties come in a variety of sizes and colors, and have a million uses. Although the approach is the same, to have equipment that is lightweight, practical, easy to conceal, innocuous, and yet very versatile, modern technology has improved of some of MacGyver’s original gear. Although the trailer for MacGyver 2016 already shows the iconic “SAK” (Swiss Army Knife), I think he should trade up for a modern multi tool, such as the Gerber Multi-Plier or Leatherman Multi Tool. Both of these tools are a set of pliers, that also include a variety of primary and auxiliary blades (similar to a SAK), that can be accessed with the pliers “open”. Both include wire cutters (inside the plier jaws), a primary knife blade, saw blade, file, and various openers and screwdrivers. The Gerber Multi-Plier 600 series comes in many different configurations, including specialized ones for military and medical applications. Many configurations, plus the ability to customize the accessory blades to some degree. Conceivably, he could have several multi-tools, from which he chooses the best one for each mission. Most configurations have a fairly decent primary blade, as well as a secondary saw blade. Every blade “locks” in place using a spring-loaded locking bar. With practice, the pliers can be deployed using a one-handed “forward flick” action, that causes the plier jaws to slide forward and lock in to place. The knife blades are very brittle, and can chip easily. Compared to the SAK, the knife blade is useless for prying. However, most configurations include all sorts of auxiliary blades that are fairly competent at prying, and are not as brittle. 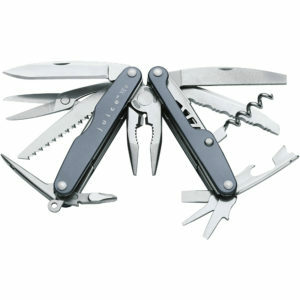 The Leatherman Multi Tool, like the Gerber, comes in a variety of configurations, including specialized ones. 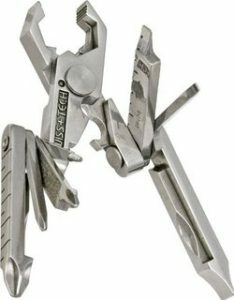 Unlike the Gerbers, whose jaws extend forward from the handle and lock in place, the Leatherman inverts by folding the handles around 180 degrees, exposing both the plier jaws, as well as the knife blades and other fold-out accessories. Most models include a decent primary blade, as well as a secondary saw blade. With practice, the Leatherman can be deployed one-handed, by holding one handle and using a “sideways flick” motion that causes the unrestrained handle to rotate about the pivot of the restrained one. Disassemble with precision. Although 1980’s MacGyver is often depicted using his SAK to disassemble some device, he often must use the knife blade or point as a screwdriver. A modern multi-tool has everything you need to service or disassemble almost any machine. For example, all multi tools include a full-sized Phillips screwdriver… notoriously absent from most SAK configurations. Like their larger cousins, a good set of micro pliers includes a variety of tools, but weighs almost nothing and fits in the change pocket of your blue jeans. The Swiss+Tech Micro Pliers fold up to about 1 inch square, and contain a small set of pliers, as well as cutter, crimper, 6 screwdrivers and an awl. For under $10. 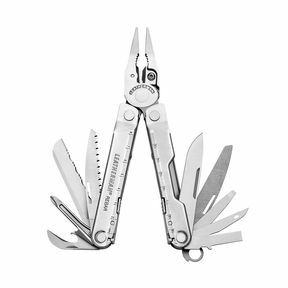 The Leatherman Juice, at just over an inch long, includes an incredible number of features and tools in an extremely compact and durable package. Like a SAK, these tools provide high versatility in a compact package. Like its duct tape cousin, Gorilla Tape consists of an adhesive embedded in a cloth substrate. It’s extremely strong and versatile. 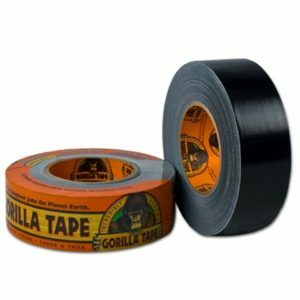 Why carry Gorilla Tape over duct tape? Strong, modern adhesive is much stronger than duct tape. Gorilla tape can be nearly-permanent, if applied correctly. Stronger substrate, and significantly higher shear strength. Instantly waterproof. 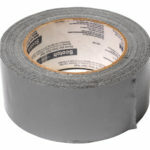 Unlike duct tape, which gets gummy and slimy, you can actually stop a leak with Gorilla Tape. Temperature-invariant. It performs consistently in hot, mild, or cold weather. In a very cold environment, duct tape tends not to adhere properly. Because it’s waterproof, it could conceivably be used in emergency field medical situations, to close a wound, or provide other emergency first aid. It took quite a long time, but modern technology has finally managed to improve on duct tape! Available in a variety of print patters, “print” duct tape is all the rage. People are making wallets, clothing, and all sorts of useful things out of duct tape. It’s almost like having a 3D printer. By choosing your print patterns strategically, you can easily create an optical illusion, diversion, or hide something. MacGyver would readily embrace something so simple, compact, and practical. 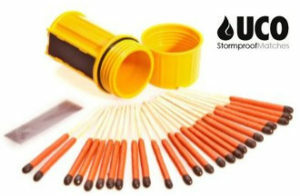 Weatherproof matches, such as the UCO Stormproof matches, light and stay lit in wet and high-wind conditions, burning hotter and longer than normal matches. Weatherproof matches are an obvious upgrade from the strike-anywhere variety. In addition, the 15 second burn time means that they can easily be repurposed as a ready-made fuse, or the chemicals themselves can be repurposed in to igniters, primers, or bombs. Some things simply weren’t available in the 1980’s, but they are available (and useful) today. Welcome to 2016. 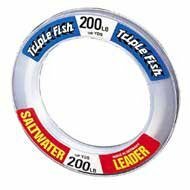 You can easily obtain 200 lb monofilament – a single nylon thread, about 1/10 inches thick, that can support the weight of some grown men. Because nylon wires are used in clothing, shoes, and luggage, shark wire is easy to sneak through a security checkpoint. It can be used to construct a weapon or a trap, construct a device, or simply tie someone up. Taping a length of shark wire to the inside of your belt doubles or triples its carrying capacity as a harness or sling. Recently-popular, survival bracelets broke in to the mainstream a couple of years ago. 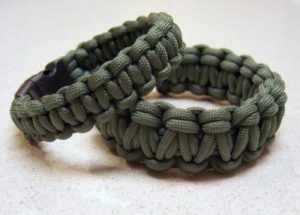 These are made from mil-spec type III paracord, also known as 550 cord because of its minimum 550 lb tensile strength, and come with a variety of features and options, such as a nylon buckle, fire starter, and / or compass. You can buy one for about $10, or make one for about $3. The core concept is that, in an emergency, you can unravel your bracelet to obtain 12 feet of cord, capable of supporting 550lb of weight. This could be used to extract yourself after a natural disaster or terrorist attack, build a trap, make a bull whip, provide field first-aid, or even build a hand-winch to haul a vehicle out of the mud or sand. 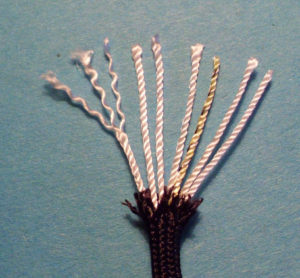 The inner threads, known as the “guts” can be used for fishing, or as thread to repair clothing or gear. If you’re extra patient, you could easily make a paracord belt, complete with nylon buckle, that would provide about 70 feet of paracord, for all of your paracord emergencies. 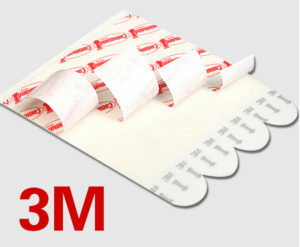 3M makes a system of strong, yet removable adhesives, designed to be affixed to a wall for various purposes. 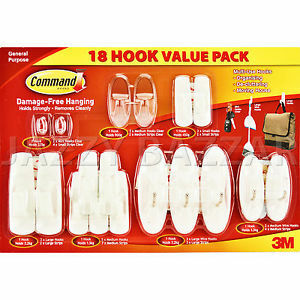 Command Adhesives come in various form factors, including the command adhesive strip itself, velcro, or various hook and clip fixtures. Command adhesives can hold a lot of weight for their size – often 40 lb or more, and can be used for a variety of purposes. Each side has a peel-and-stick adhesive that bonds semi-permanently in 30 seconds. Slowly pulling the tab downward releases the adhesive, and the velcro, hook, or clip can be reattached later, using a new command strip. I can’t imagine that MacGyver wouldn’t throw a couple of command strips, some command velcro, and perhaps a command hook in to his kit. Being able to stick anything to a wall, any time, any place, would come in handy. Back in MacGyver’s day, he might have carried some Super Glue (cyanoacrilate), but it wasn’t very practical. For a spy on the go, Super Glue takes too long to bond (ha, pun intended). In addition, it’s messy, and difficult to adhere two non-uniform surfaces together. 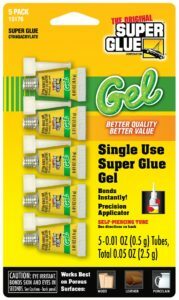 Super Glue Gel comes in a variety of convenient sizes, and bonds within seconds. It stays right where you apply it, even on a wall or upside-down, and bonds properly, even on rough surfaces. Like their Nylon cousins, these are extremely versatile, a little bit more expensive, but nearly indestructible. Steel zip ties are completely wear-resistant, water and weather resistant, incredibly strong, and are your first choice to repair heavy equipment, or construct a barricade. Where nylon zip ties are good for a temporary fix, steel zip ties are (for all practical purposes) permanent. Back in MacGyver’s day, the ultimate in ultra-portable illumination was the pen light. In 2016, we have LED flashlights. Multitudes of them. 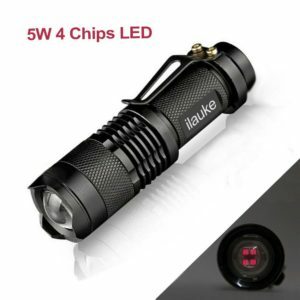 Although there are many “white lite” LED flashlights, one of the benefits of using LED lighting is the flexibility – some flashlights provide multicolor (RGB) modes, so that you can use one device for white light, red light (for viewing maps or preserving night vision), or green / blue lights for tracking. Nitecore Chameleon CU6. Red / Green / Blue illuminator, plus White and UV spot lights. 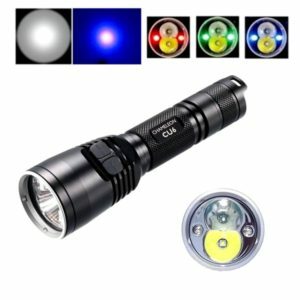 Although it’s not cheap, the Nitecore Chameleon CU6 is exactly the type of flashlight MacGyver would have – it has white, R, G, and B modes, and a separate UV illuminator. Conversely, IR flashlights are used in night vision applications, and can also be used to blind surveillance cameras. You can pick up an IR flashlight for just over $10, then tape it to a ball cap in order to prevent cameras from seeing your face, and defeat facial recognition software. 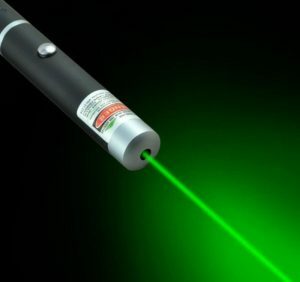 A 5mw class IIIa green laser pointer used to cost hundreds of dollars. Now, you can pick up a good one for about $20. Green is the most visible portion of the light spectrum, thus a “legal” class IIIa laser, under optimum conditions, is visible up to a mile away! Class IIIa Green Laser pointers can be seen up to a mile away, operate at under 5 milliwatts, and run off of 1 or 2 “AA” batteries. Green lasers can be used as a signalling device, or to distract or blind an opponent, or disable cameras or motion sensors. Green lasers can also be hacked and “supercharged” in order to burn black plastic, balloons, and other dark materials. The 2016 MacGyver is much more tech-centric, and must have at least a topical knowledge that’s ten times greater than 1985 MagGyver, because technology has exploded in the last few decades. Accordingly, he needs to have, acquire, or build some high-tech tools to help leverage his modern skill set. Where 1985 MacGyver could bypass an electronic lock by driving a solenoid off of a 6 volt battery, 2016 MacGyver has to either hack a microcontroller, or directly drive an actuator using a Pulse Width Modulation (PWM) signal. An Arduino microcontroller is smaller than a deck of cards, but can easily be programmed to control physical devices. 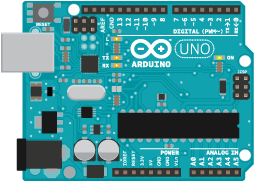 An Arduino Uno can run off of a 9V battery, and can create a Pulse Width Modulation signal, to control an actuator. In the 1980’s, people hid information using chemical or physical processes. In 2016, hiding information is the realm of digital encryption. MacGyver might use his advanced knowledge of applied computer science to hack together a Beowulf cluster using old laptops, to crack the bad guy’s password, and unlock his encrypted files. In 1985, there were virtually no biometric systems. In 2016, almost everything related to security includes biometrics. From fingerprint locks, to facial recognition, a spy in 2016 must have an advanced knowledge of how to hack or bypass biometric systems. 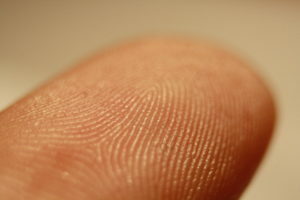 Biometrics consist of individually-unique body measurements. Most biometric security measures can be easily bypassed or spoofed. 2016 is all about always-on, always-connected, and the icon of 2016 is the smart phone. In skilled hands, a modern smart phone can be used for much more than playing games and updating Facebook. 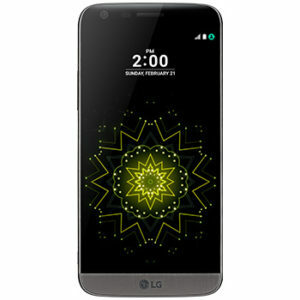 A good smart phone has 4 to 6 cores, 32 gig of RAM, and a nice, large touch display. 2016 MacGyver would probably have an Android smart phone, running a custom rooted ROM, with a full GNU stack. What does this mean? Android functionality, with Linux horsepower. Root access means that he has the greatest flexibility to leverage his phone’s hardware, running custom code and scripts to perform specialized functions as needed. Also, in addition to “apps” that are designed to run with Android, he can download, compile and run the full set of security tools that are designed for Linux… all from his phone. In addition to his primary “hacking” device, older smart phones can be purchased inexpensively, and can be used as GPS trackers, remote microphones, remote cameras, and remote network scanning / penetration testing endpoints. 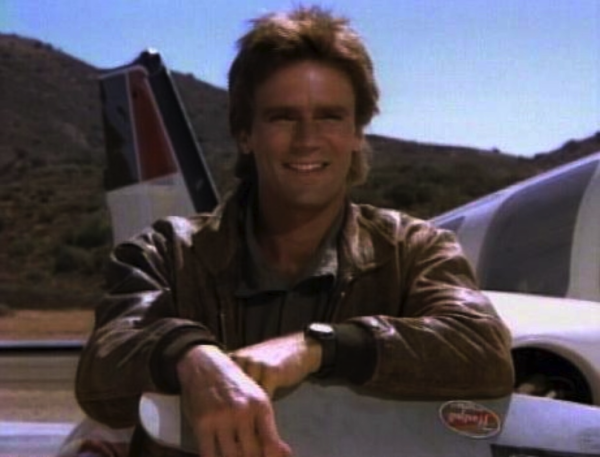 Without advanced knowledge of the upcoming 2016 reboot of MacGyver, it’s hard to tell what to expect. The “modern” MacGyver uses traditional tools where it makes sense, while upgrading to the latest technology in order to gain a competitive edge. Simple tools, like rubber bands and paper clips are completely innocuous, very portable, and extremely useful. Some of MacGyver’s gear can be updated to newer technology. For example, he would benefit from trading his “SAK” (Swiss Army Knife) for a competent, modern multi-tool. Also, he could benefit from micro pliers, that are extremely portable and useful, as well as weatherproof matches. Modern adhesives create new capabilities for the modern MacGyver, including stronger tape, “smart” adhesive strips, and gel glue. There are some things MacGyver should have been carrying all along, copper pennies, rubber bands, a ball point pen, magnets, cork, and a mylar emergency “space” blanket, and zip ties. Steel zip ties, LED flashlights, nylon shark wire, paracord survival bracelets, and laser pointers are among the modern technological improvements from which MacGyver could further benefit. The 2016 MacGyver needs some high-tech skills to pull of the modern equivalent of some of the 1980’s hacks from the original show. A good smart phone, and an Arduino Uno would allow MacGyver to hack or control almost anything. 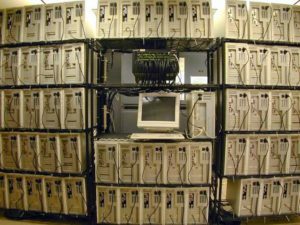 Building a supercomputer out of old parts, or bypassing biometric security are examples of necessary, modern skills. 1985 MacGyver used science, creativity, and a diverse skill set to solve problems by repurposing common objects. I look forward to seeing what 2016 MacGyver can do with modern technology.